…these sort of workouts aren’t ideal for him. Biyombo looked understandably nervous and it seemed to affect his game. Much of the workout focused on his perimeter skills — a major weakness of Biyombo. He missed roughly 75 to 80 percent of the shots he took in this portion of the workout. Biyombo’s poor workout is a god send for the Knicks who are in the market for athletic big men. The last thing we need from this guy is outside shooting and clearly he’s not a great perimeter player. 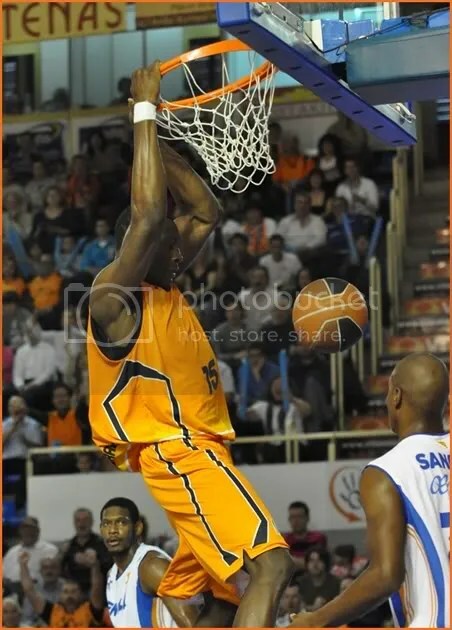 There is no doubt about his raw speed, power and leaping ability, not to mention he is incredibly long (7’6 wingspan). He’s a great fit for the Knicks at center and he’s definitely the best fit for us of all the players in the draft. Golden State sits at 11 and would also be a good fit for Biyombo. I hope we are not snake bitten again just like with Steph Curry in 2009. It’ll be interesting to see if we can give up the pieces to trade up and select Biyombo as he’d be a great addition to our club.